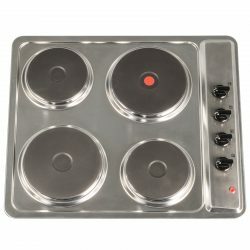 At Ship It Appliances we stock a large selection of electric hobs from top brands including CDA and our own brand, SIA. Choose from space-saving 30cm models and bigger multi-hotplate designs for busy kitchens. We’re confident you will be able to find the perfect hob for your kitchen. Durable, stainless steel finish: easy to clean and will last for many years. 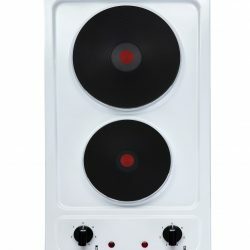 Rapid heating time: electric hobs will reach your desired temperature in no time and will remain stable at that temperature unless you choose to change it. Low maintenance: simply wipe the hotplate clean once it has cooled down. Electric hobs are very low maintenance and are unlikely to be damaged during daily use. Safety features: most of the hobs we sell have safety features that will shut the hob off if left unattended. 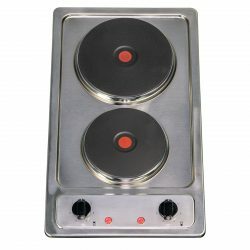 Improved energy efficiency: unlike gas hobs, which release a lot of heat into the air, electric hobs retain a large portion of the heat ‘in the plate’. This means they burn less energy overall.